You are here: Home / Cisco / CCIE / Quitting My CCIE Status. Time to Move On. Its been 17 years since I achieved CCIE status. Its time to admit that CCIE skills are not a part of my future and its time to let it go. I have two roles today. First as the Co-Founder/Chief something of a startup. Packet Pushers as a business IS NOT about aiming, launching towards your goal and pushing hard, its more like guiding a very large falling and accelerating rock so it doesn’t hit the edges as it accelerates and gains momentum. It takes a lot of time and energy to do this. 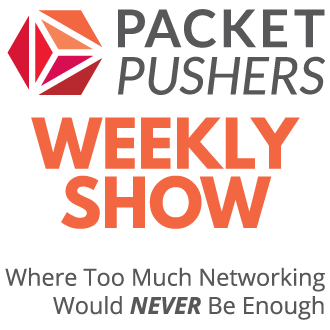 My second and more visible role is podcast host, analyst and writer on networking at Packet Pushers. The price of CCIE recertification is substantial. I’m guessing a minimum of 200 hours and more likely 400 hours to get back into the books, work through my flash cards and start memorising a bunch of pointless information. The value ten person-weeks of my time is very high. Is CCIE relevant to Me ? Hyper-convergence means legacy networking is pretty much over in the etnerprise data centre. SD-WAN means that deep knowledge of legacy protocols isnt’ needed anymore. The SDN platform hides most of the details there and moves your career into proactive design and strategy instead of having good memory and understand on technology details. Hybrid cloud / multi-cloud is the hotness for the next few years. Having lived through Novell Netware, Window NT before getting into networking where i lived through WAN and Data centre security. I did some WiFi and a lot of monitoring before that became pointless. The only place where active CCIE status matters is resellers. The idea of working for a vendor reseller has little appeal and often do not pay well. Cisco doesn’t seem to care about my loyalty as they offer no benefits or advantages to maintaining my CCIE relationship. And, broadly, end users don’t have much concern about status now as the ability to communicate and be adaptable is equally important as your technical chops. I’ve talked a lot about cloud and hyperconvergence, and I don’t see any of the CCIE certifications being useful. I can re-learn what I need. The foundations of the last decade are still there and educational material is widely available. Its very different now from 2001 when training resources & labs were extremely limited. If I was planning to invest hundreds of hours in training I would be focussed on a career choice that is one step ahead of the market. Right now, I would invest time in a public cloud – AWS/Google/Azure, doesn’t matter which one. Having ‘cloud skills’ would be more valuable than relearning old knowledge that won’t 1) be used in a few years 2) have less commercial value i.e. no extra salary. My ego doesn’t need my status anymore. I’ve proven to myself that I’m good enough and I don’t need anyone else to validate me. In the middle stage of my career with only ten to fifteen more years (if I’m lucky) of working, I can make this choice. Farewall CCIE program, time to invest in new skills and leave the old behind. this is maybe the first article i have ever read in my life that i agree in every word on it! Totally Agreed every word of it.. Day by day things are changing… I really loved that fact that you are looking to working for 35 years :)… I am figuring out an alternate career than IT… All the best. I did the same with storage certifications, Greg. Been toying with the idea of vendor-based certifications for cloud (e.g. AWS), but what would I do with them other than work onsite for a VAR? The experience is there, the hard yards are done. For me to, certification is a done thing. Plus you have a “proof of skills” in your blog. Having a good technology blog is much more useful than a certification IMO. I too just let my DC CCIE expire because of these very reasons. I’d much rather become an AWS expert, and more proficient with python, ansible, and devops tools. I went down the training path because the cost of doing the written again was too high. My time is worth more than the test delivers. The evolution of technology has just meant that this particular certification’s value is not what it used to be. Not sure I will renew it again in 2 years but only time will tell. Maybe by then the testing will include relevant information like SD-WAN, python and the like. The written test is not a good experience. I don’t see alternatives however, so I won’t be overly critical of how bad vendors have let testing become. Nice points! I abandoned the idea of getting a CCIE when I decided to focus on automation. There are only so many hours in life and to have some semblance of work-life balance. I came very close to not bothering renewing even my CCNP (which has much less heavy lifting to renew). The only reasons I did was a few recruiters who still have it as a requirement and for old-timey sakes to spin up some funky OSPF scenarios – like for fun. Not sure if that’s weird. Next time I may truly abandon vendor certs though. Nice right-up and totally agreed with you now a days with Cloud technology and Automation growing so fast… It really put you to think if going for a CCIE Cert no matter what track it is if it really worth it anymore at all. And even worst with no type of benefit for all the people to keep renewing it each X amount of years like u mentioned. Are you sure it was 17 years ago? You have #6xxx and i’ve got #10xxx only 16 years ago, not a four-digits, damn. BTW, you may pay $85/year for Emeritus and ability to activate it again without the lab. I need to move on. Until I let go of the CCIE program and the fact that I don’t need it anymore I can’t really move to the next phase of my career. This year I will not pay for Emeritus or stay in the program because I no longer get anything from it except being held back in my mind. Yes, I’ve been Emeritus for a while. I feel the need to put the past behind me, I can’t move forward if I keep thinking that MPLS and IP Multicast actually matters. Do you still maintain at least an Emeritus status, or have you let it go completely? I have been Emeritus but there is no reason to keep that anymore. I am completely letting go of the CCIE program. Why bother ? I’m 52 years old and getting closer to retirement. I’m never going to work for a reseller ever again because thats a miserable working life that doesn’t pay well enough. Certification is over rated, lifestyle is more important. Great article Greg. I faced the same decision a few years ago and decided to let it expire too. I have to admit that I felt a bit of loss and disappointment when the day came and I can no longer claim to be CCIE-certified. But looking back, the time and effort saved were well worth in investing in other areas and the payoff was substantial. Keep up the good work at Packet Pusher! I look forward to more awesome episodes and greater business adventures in 2018. Thanks, I’m spending more time learning, reading and researching than ever before. I’m looking to the future while the CCIE is very much focussed on whats already been done (and is good for Cisco’s business). Thats not my direction. Interesting to see another low 4 digit CCIE drawing some very different conclusions about the value of the program in 2018. For myself, I passed the Security lab earlier this month, sharpening up some irrelevant skills ;-). Best wishes and much success in your endeavors. I’ve been careful to discuss why its my decision and how its relevant to my life/situation. Best wishes to you and others who continue to get value from the program. I hope it works out for you. Yeah, I just couldn’t justify the money and time to even pursue the IE. Didn’t renew my NP either because I frankly don’t see the benefit. Its a unique situation for every person. Glad to hear you made choice that works for you. Good decision. It took you some time but you are there, which matters at last. I cleared my written and failed in labs but I got a customer advocacy role, which warrants ecosystem knowledge rather than one vendor silo knowledge. Moved in with cloud and security and business knowledge. Pretty satisfied. However having said that,, I can take that proud feeling of the CCIE number. For me, it will be a thing in my bucket list after my retirement :-). There is value in completing a CCIE program for some people. I’m not sure that keeping the program current offers much value. I too won’t be renewing for the same reasons. In short: IaaS killed the CCIE. I think SDN makes CCIE less relevant. Public Cloud is SDN, hyperconverged is SDN, SD-WAN is SDN, SD-Campus is SDN, Wireless controllers are SDN, NFV is carrier SDN and so on. Where are the fundamentals to learn SDN in this diversity ? I never pursued CCIE because I thought most of the financial benefit would be realized by a VAR and not me, even though I would have to invest the time and energy. Not worth it unless I am successfully self-employed as a VAR for Cisco. There are still fits for those who aspire to CCIE but they are less and less every day. I encourage anyone to stay away from expensive and time-consuming certifications for any particular vendor. It’s a total boondoggle for the provider – it yeilds the participant little if any tangible, long-term benefit. Do what you like and are good at, and if that is Cisco, cool, more power to you. But don’t be led around by the nose by marketing hacks for a vendor. ANY vendor. CCIE shows you know the basic. It’s the requirement for most tech jobs. It’s great that one doesn’t need it to survive. For most of us, CCIE is the $h*! For me, at Cisco Lives, I could get a few more toys for my kids, and that in itself, is worth keeping. I gave up NP after I turned 50 five years ago. Job offers were non existant. Luckily got into cryptocurrencies which are much more interesting than Networks or Infrastructure and allow me to work for myself and avoid the toxic workplace environments and ignorant, egotistical arseholes. So the ‘Cisco Kid’ has finally decided to let go of his comfort blanket, remember when everyone use to chase hot vendor certifications and logo’s for their resume’s? The only point I wouldn’t agree on is what you refer to as legacy technologies. 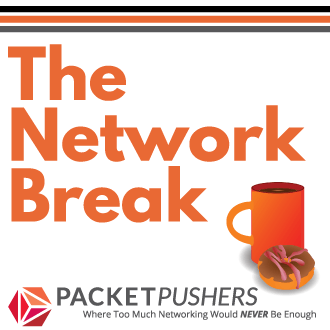 How is Ethernet, BGP, OSPF or VxLAN considered legacy? All of this stuff people call cloud today is based on them and when your private cloud breaks, you need to know them well to troubleshoot. You should be operating these technologies with a SDN platform/controller, then you don’t need the deep, narrow (and pointless) knowledge of these protocols. Do the business a favour by working on network visibility and analytics tools so you know whats really happening in your network. Totally agree. The CCIE certification at one point was considered worth the time and money spent obtaining it, but not anymore. With the advent of Cloud and SDN, different skills are required today and into the future. The days of CLI with network engineers banging away at the keyboard are behind us. Unfortunately, Cisco is still a very hardware centric company and certainly not the leader when it comes to setting the vision. commoditization / sdn usually comes with vendor lock-in ( call it a feature ) , also, it’s just not nearly as interesting as CLI Et al. Thanks for all the posts over the years, really enjoyed them , esp. the Network Zen! Good points. We got your back. I won’t be buying any more of Cisco’s Fire Protection money and my certs will expire in 2019. It is time for transition, substance, and achievement not focusing on getting expensive pieces of paper that don’t really matter to those who really know what they are doing.